A proven leader in the Real Estate industry. Susie has 25+ years of experience in real estate sales right here in the Greater Tampa community. Prior to opening Yellowfin Realty in the spring of 2009, she was the Broker, CEO for a prominent real estate company in Brandon. Under her leadership the company market center closed in excess $750Million in closed sales volume in 2 years. The experience of working for the top brands in the industry is unmatched in our area. Susie understands what it takes to transact successful sales in any market. She is respected by her peers and her former clients and customers. Your goodwill is her focus and she is available to oversee sales for her clients as well help bring her experience to help any motivated real estate agent through the tough waters of Tampa Bay real estate. 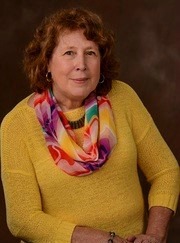 Susie is a Native Floridian and she and her husband John have five grown children, eight grand children and enjoy the active life style that life in the Florida Sun allows.